Concrete repair under decorative coatings. The advances in decorative concrete coating and finishes for patios, sidewalks, driveways and pool decks are amazing. All of these systems have one common element. They are all affected by the condition of the concrete underneath. 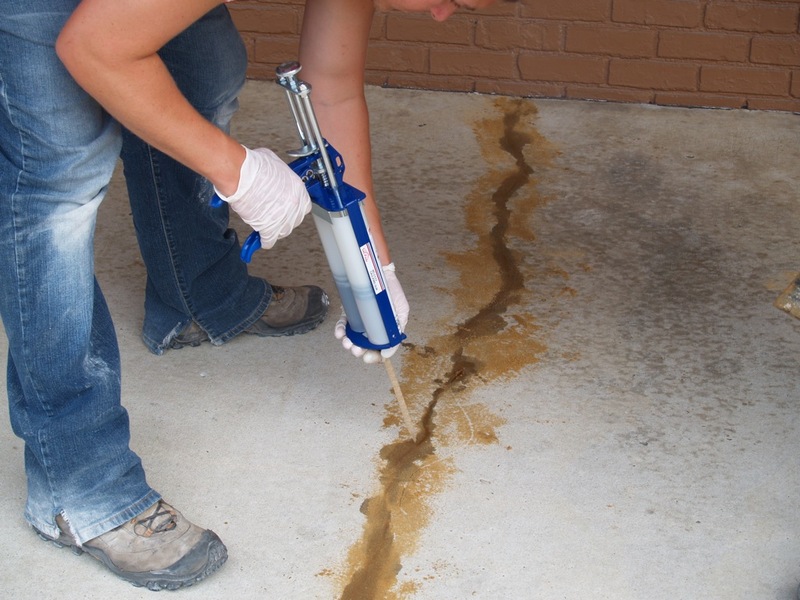 We recommend and use Roadware Concrete Mender™ Off-white to repair cracks, spalls and surface defects prior to decorative concrete treatments and coatings. Off-white Mender is just like the Roadware 10 Minute Concrete Mender™ except it cures to a neutral off-white color that has less chance of affecting the color of the decorative coatings applied over the repairs. Take a look at the project below. Here is a church with a spalled and rough looking entrance. 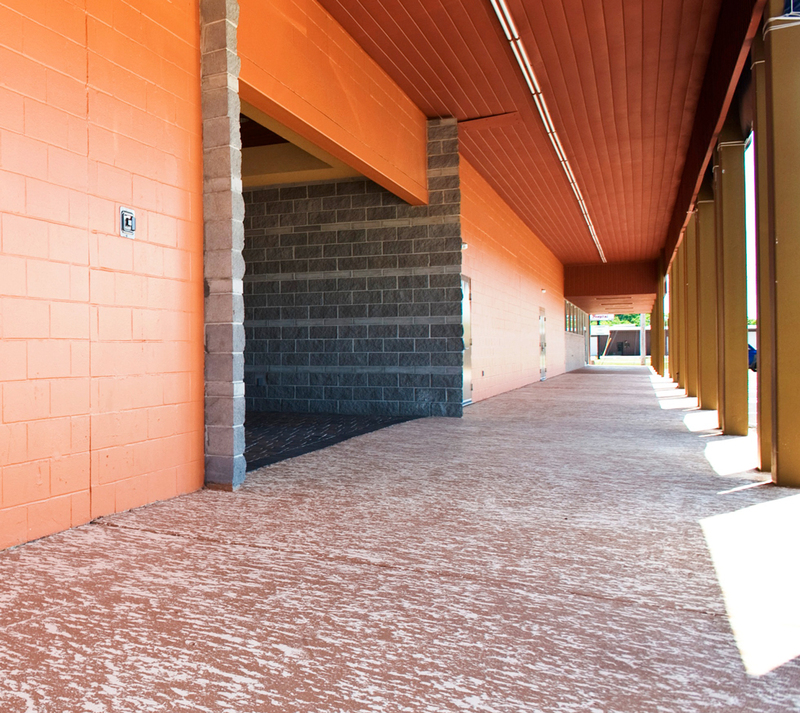 Roadware Concrete Mender™ Off-white and sand mixed in bulk is applied and troweled smooth. The material appears brown due to the brown colored manufactured sand added to the mix. 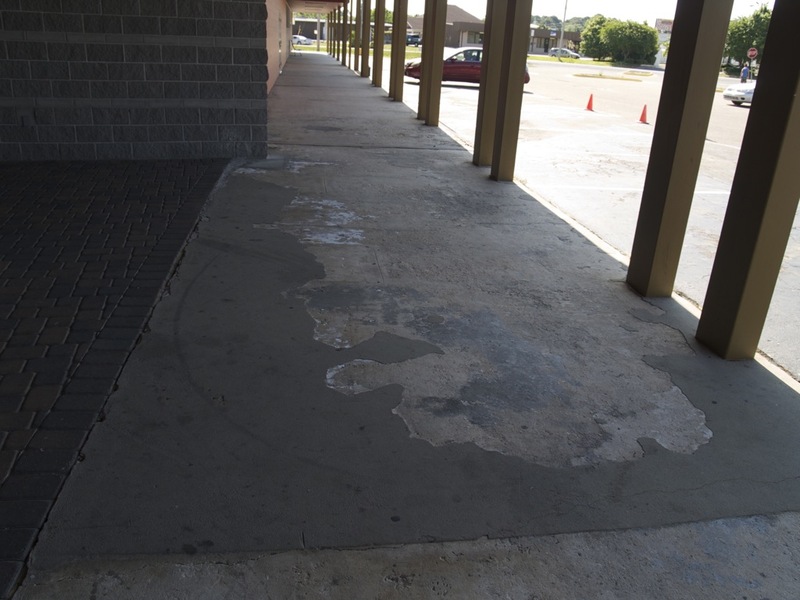 Cracks are cleaned and repaired with cartridge applied Roadware Concrete Mender™ Off-white and sand. After about 15 – 30 minutes, the repairs are ground smooth and flat. 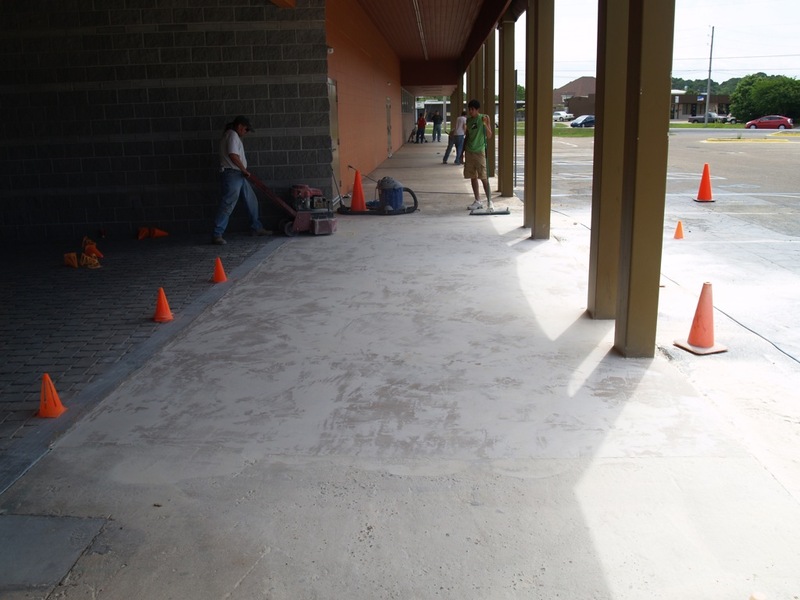 The concrete is now ready to accept most types of decorative concrete treatments. Roadware Concrete Mender™ Off-white is compatible with most high-build overlay or coating systems. It is also recommended by several top coating system manufacturers. Previous PostGravity Crack InjectionNext PostAirport terminal deck repair after 5 years. Decorative Concrete Dallas is one of the latest trends in Dallas these days and a large group of people consider it as a best option because it gives your house or office a special look.